Hey gang – we are headed into the final six days of the LEAP YEAR 2016 RAFFLECOPTER‬ ‪AUTHOR‬ GIVEAWAY‬ with a guest post from Author R Weir. And now without further ado – Author R Weir! All of the Jarvis Mann Detective stories have spent time on several Amazon Bestseller lists, with more cases on the horizon. Ray Malone is a promising college football star whose career is derailed by injuries. When he disappears, close friend Jarvis is recruited by Ray’s father to locate him. After tracking him down a video is sent of Ray with the warning of it going public, threatening his career and those that love him. Still recovering from his last case, which brought painful injuries and heartache, Jarvis picks himself up to help family out of a dire situation. A call from his sister-in-law leads him back to where he grew up. Big brother, Flynn, has dug himself a hole he can’t climb out of, one filled with lies and deceit. Jarvis lends a hand, and is soon caught between Feds and gangsters, leading to peril for all involved. With sharp tongue, nerves of steel, and fierce determination, Jarvis comes to his brother’s reluctant assistance. But can Jarvis save him from the depths to which he has fallen without getting them all killed? Coming to terms with his life growing up, and how he became who he is, Jarvis faces his past, present and future, and confronts an evil worse than anything he’s encountered before, one that may leave Jarvis, and all those he holds dear, dead. 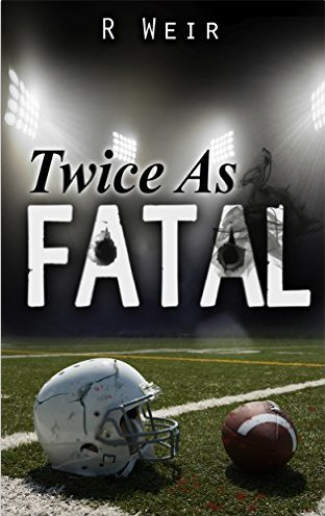 “I just want to start off by saying this one is by far my favorite out of the Jarvis Mann series! R. Weir has taken this book to another level! I was sucked immediately into the story from the first few pages. I couldn’t get enough and I never wanted it to end”-Brandi Reeves-Pearson.